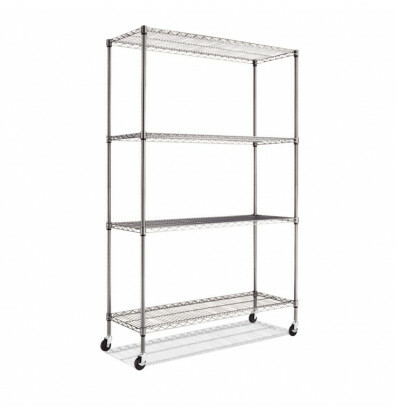 Alera SW604818BA 4-shelf wire shelving unit with casters is an ideal storage solution for commercial use. Snap-together design assembles in minutes. Strong welded wire construction provides exceptional strength and stability. Open design allows air circulation and reduces dust build-up. Maximum weight capacity up to 600 lbs. 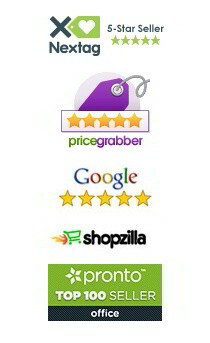 per shelf (evenly distributed) when used without casters, and 500 lbs. with casters. 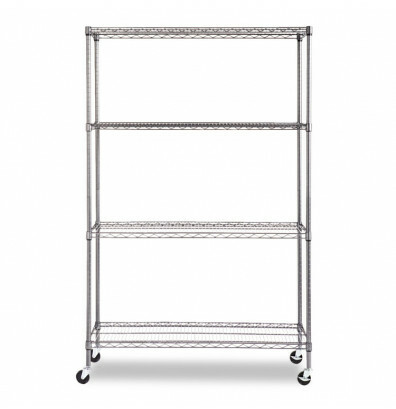 This wire shelving unit offer a finish on surface that prevents corrosion in wet, humid environments. Safeguards for freezer, restaurant, food service, indoor/outdoor, or other wet/dry storage requirements.